The smartphone app for the shopping lover. 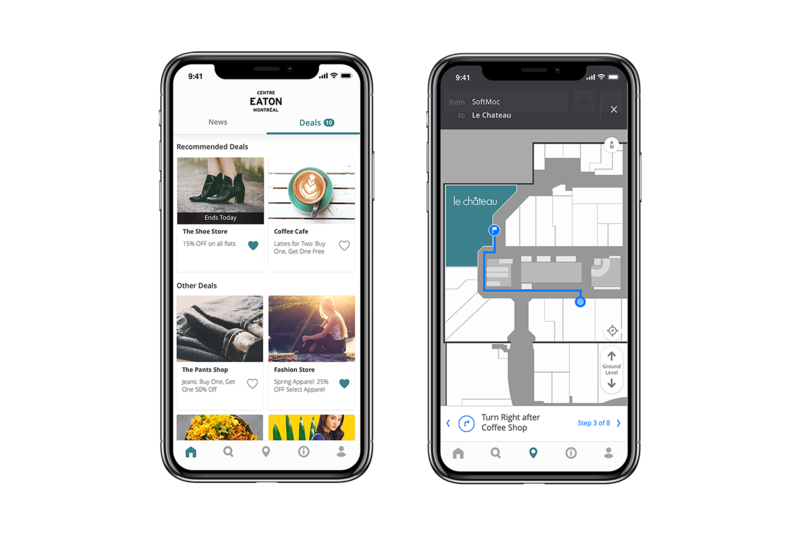 With the Centre EATON app, you can hold 150 stores in the palm of your hand. Whether you’re at home relaxing or shopping in the mall, you’ll be able to create a personalized profile where you can get daily deals of your favourite stores, news, events, dining options and movie showtimes. The map function will also help you find your way in the mall and allow you to save your parking spot. Make the most of your shopping trip and download the app now. Happy shopping!